Govanhill Baths Community Trust wants to thank you all for 2017. It has been a tremendous year for our project. In February we opened the Children’s teaching pool, bringing swimming back to Govanhill for the first time in 16 years. We had our first annual Govanhill International Carnival, bringing people together with a massive parade and celebration of our unique community. And, most importantly, our Community Shares issue raised the money we needed to move ahead with the ultimate aim of restoring this historic building to be the Welbeing Centre we have been working towards for all these years. It was only possible because of you, the people who support the campaign through contributions, volunteering and lending us your good will. We had a footfall of over 24,000 people this year, coming to The Baths for everything from knitting and cooking to internationally celebrated arts events. 2018 is going to be a momentous year. Towards the end of the year we will close to begin the refurbishment, something that might have seemed impossible a few years ago but became a reality because of the resilience, hard work and perseverance of the people of Govanhill and beyond. Sometimes, among the hard work, its good just to celebrate, come together to chat and to dance. Our friend Neil Bryson has organised an end of year party to celebrate our great year and look ahead to next year. 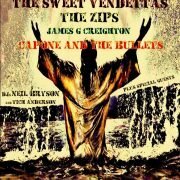 Its at the Rum Shack on Saturday (30 December) Neil will be compering and DJing and there will be live acts, Capone and The Bullets, The Zips, James G Creighton and The Sweet Vendettas. Michael “Tich” Anderson (Altered Images) will be a guest DJ with some classic punk and ska. We hope you can join us there and give yourselves a well-earned pat on the back. Or, if you havent been involved before, come along to join in. You can pay at the door (£5). 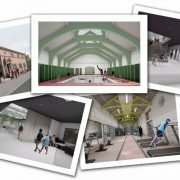 The Govanhill Baths Community Trust is recruiting new Board members who are committed to helping the Trust re-open the Baths as a Wellbeing Centre and contribute to the social, cultural and built regeneration of Govanhill as a community on the Southside of Glasgow. 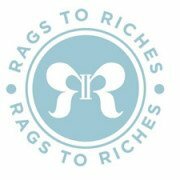 We are specifically looking for someone with charity accounts and finance experience to take on the role of Treasurer. These are exciting times for the Govanhill Baths Community Trust. After 16 years of determined campaigning the GBCT has been awarded substantial grant money to begin work on bringing the building back into operation. We expect to have raised the full 6.4 million needed to start the restoration and refurbishment of the building by March 2018. We have just been successful in securing community investment of over £280,000 by issuing community shares in the project and will be transferring our operations to a community benefit society when the building opens. The refurbishment is scheduled to begin in 2018 and will bring into service the Ladies’ pool, Learners’ pool, Turkish Suite and Sauna, Gym, Rooftop Gardens, a Community Kitchen/Cafe and Multipurpose community spaces. While the former public washhouse, or ‘steamie’, will be turned into a theatre venue and community events and arts space. The Board currently meets on the first Tuesday of every month at 7pm at the Govanhill Baths at 99 Calder Street, G42 7RA. As with all of GBCTs shows we are offering the G42 pound ticket. If you are in receipt of benefits, or are unwaged email info@govanhillbaths.com with your details. There are a limited number of tickets for each show issued on a first-come first-served basis. 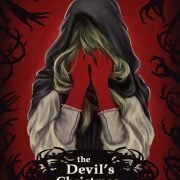 The Devil’s Christmas is inspired by a story called The Girl with Silver Hands by The Brothers Grimm. Govanhill Baths Community Trust (GBCT) has become the first registered NHS Free Condoms Venue in Glasgow’s Southside that is not run by the NHS or a registered pharmacy. As well as this measure, GBCT also provides free sanitary products for women who attend Govanhill Baths for wellbeing classes and community groups. From this week Govanhill Baths will have a wide range of Male and Female Condoms and lubricant. The Baths has also been providing free sanitary towels since the start of November. This has been welcomed by many local Period Poverty campaigners. “I am delighted that Govanhill Baths Community Trust (GBCT) will be offering free sanitary products to all women who take part in any one of the number of classes that they organise; from yoga to cookery. This move underlines GBCT’s commitment to help tackle period poverty in Govanhill and other areas of Glasgow. Free sanitary products and a wide range of free condoms, including female condoms, can be found in all GBCT toilets. Information on different sexual health services is also available at GBCT reception for anyone who is concerned about their sexual health. For anyone suffering from period poverty, we can provide information on food banks who also supply free sanitary products to those who use their services. Govanhill Baths is celebrating the close of its first Community Shares’ issue. The campaign was launched on the 22nd September by local MSP and long-time supporter Nicola Sturgeon and closed at midnight on the 30 November. During the 70 days the campaign ran, 560 people invested £267,000. With 560 investors, the Baths’ campaign is one of the most successful Community Shares projects hosted by Crowdfunder. It is also unique in being the first instance of an urban project in Scotland with Govahill’s socio-economic background utilising this innovative fundraising mechanism. Right up to the midnight deadline people were pledging their support, with the majority investing £100. Earlier in the week, Big Society Capital invested £100,000 of match funding. A feature of Community Shares is that no matter how much a person or organisation invests everyone has an equal say in major decisions about the Baths.